A healthy tongue is vital for optimum health in babies and adults. While you can easily help yourself, cleaning your baby's tongue can be a very difficult task. 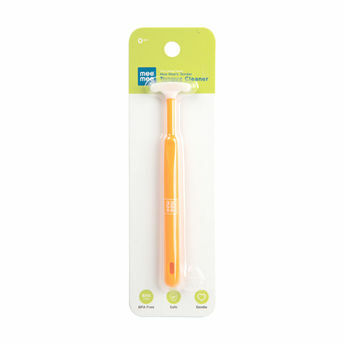 Designed keeping in mind your child's delicate oral cavity, Mee Mee's Tender Tongue Cleaner Brush helps smoothly to remove the milk residues or thrush deposited in your child's corner's of the mouth.